1. 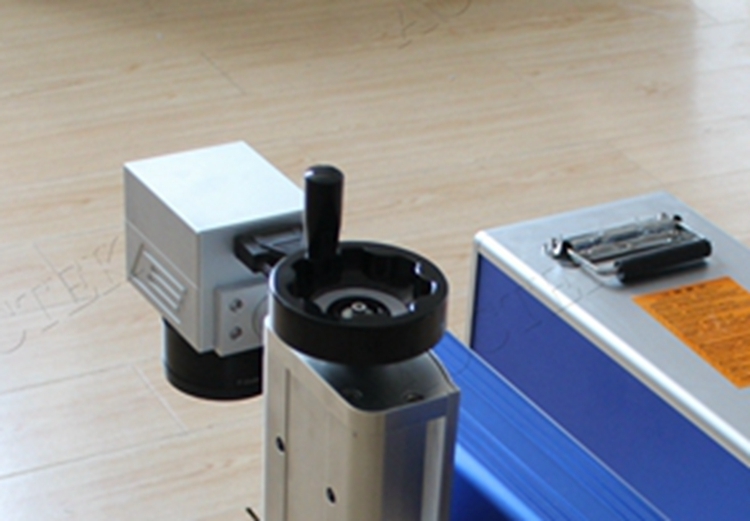 Photo of fiber laser marking machine. 2. 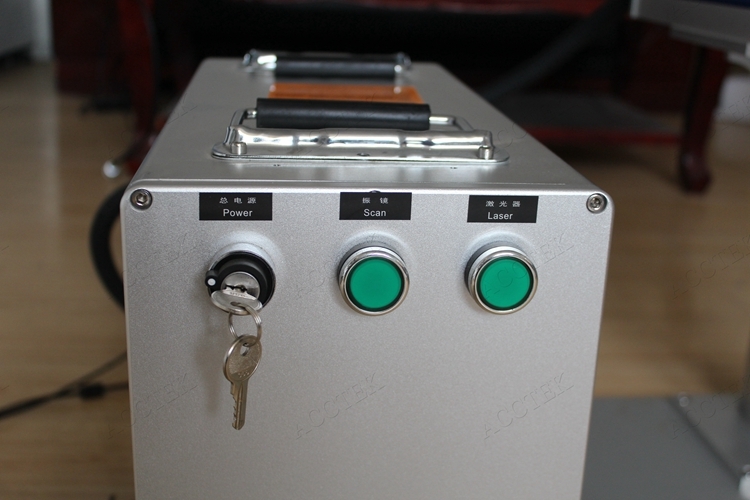 Main Features of fiber laser marker machine. Fiber laser marking machine is the use of laser beam in a variety of different material surface marked with a permanent mark. 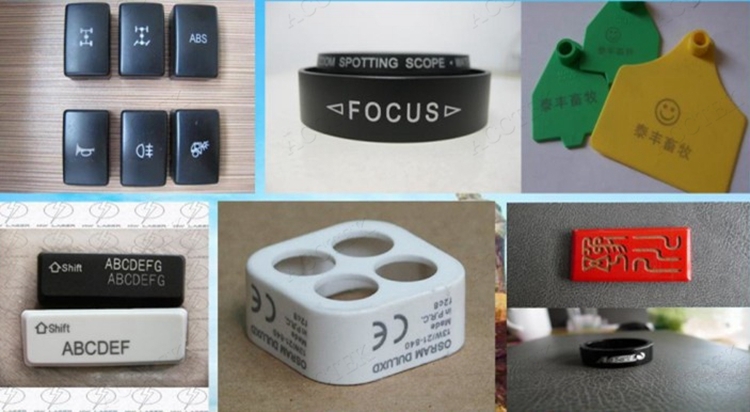 Effect of marking is exposed deep substance through the surface material evaporation, showing the required the etching pattern, text, and other types of bar code graphics. 1).Environmentally friendly: Using no harsh chemicals during the process. No need water chiller to cool, small size small occupation, can be easily installed in many places. 2).Cost-effective: No maintenance during the 100,000 hours working life. One machine can be used in many different materials & industry. Minimal part replacement. 3).High efficiency: Computer operated, suitable for automatically processing(like production line, automatically filling line). 3. 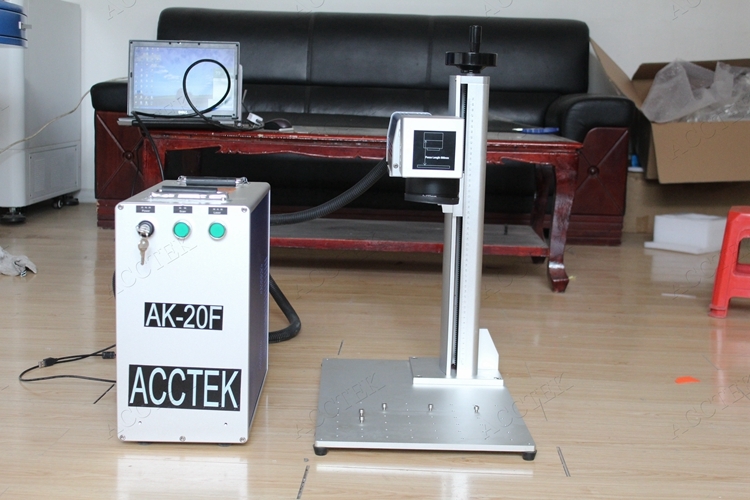 Technical Parameters of fiber laser marking machine. 4. 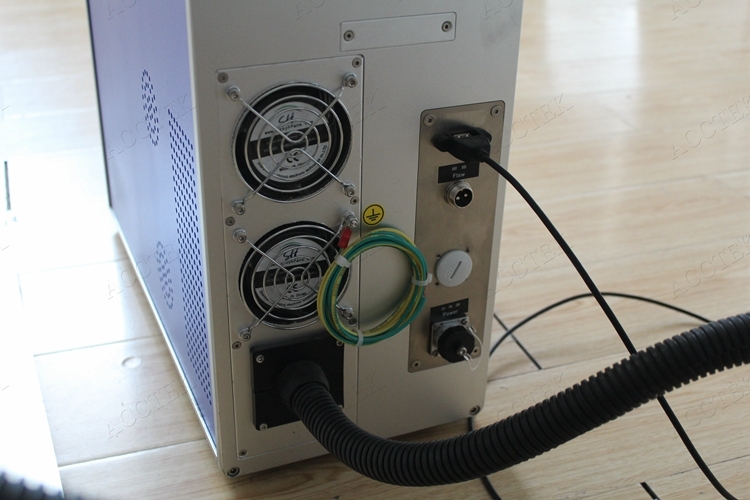 Details show of fiber laser marker machine. 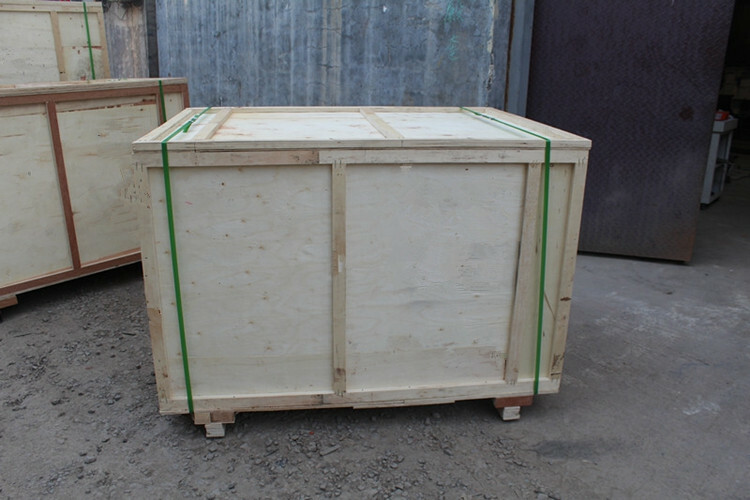 (1) Handle lifting: High quality materials,high positioning accuracy,stable and convenient. 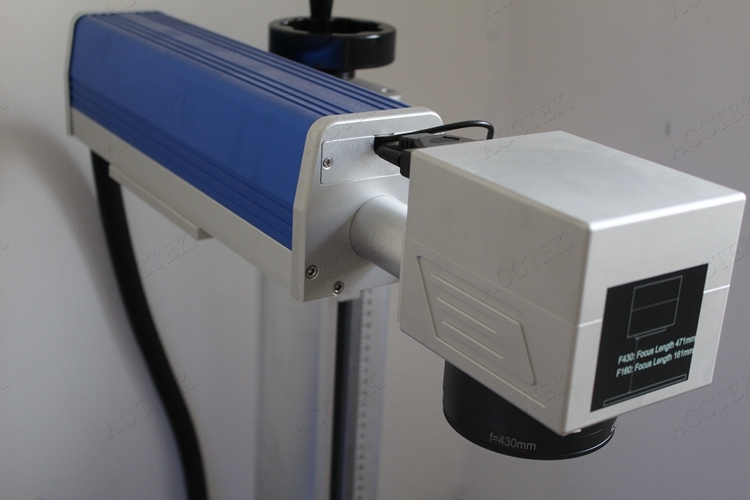 (2) Galvanometer Scanner: It is equipped with automatic scanning system,friendly operation process. 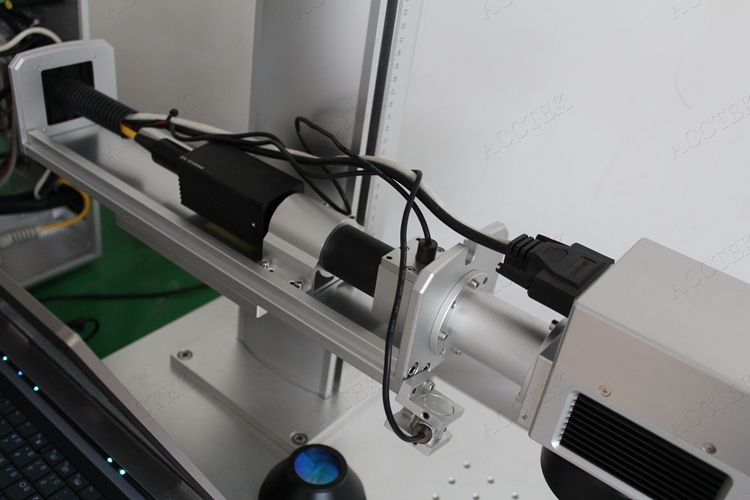 (3) Laser gun body: One of the important components of fiber laser marking machine. 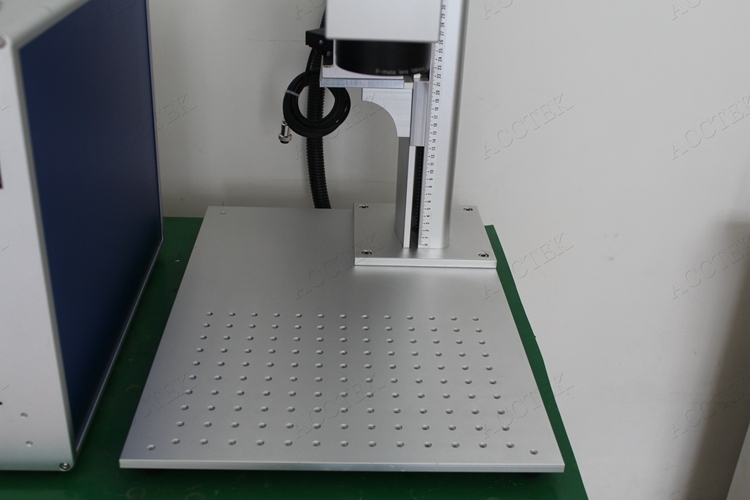 (4).Working table: Configure the positioning hole for quick and easy positioning,position adjustable. (5). Switch: Humanized control system,eazy to learn,dust proof design. (6). Thermal Design: With a cooling hole,dust proof and thermal design to protect the host computer. 5. 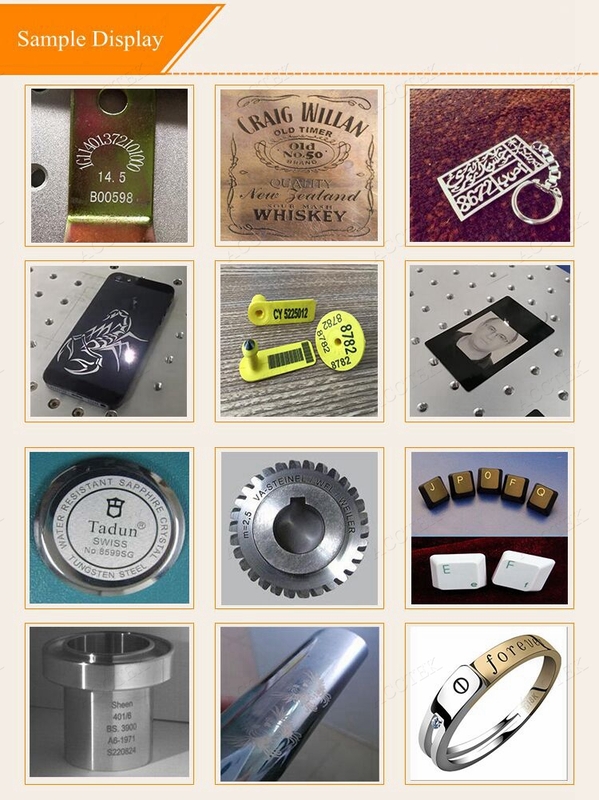 Working samples show of fiber laser marking machine. Metals (steel, titanium, copper, gold, silver, including rare metals), engineering plastics, electroplating materials, coating materials, plastics, rubber, epoxy resin, ceramic, ABS, PVC, PES and other materials. 6. 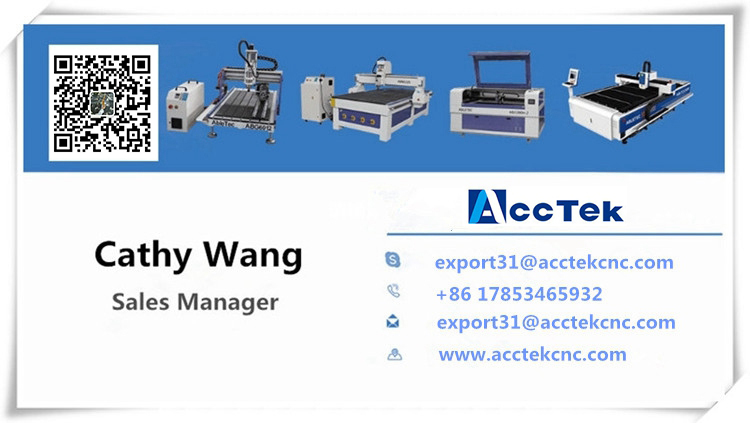 AccTek packaging & delivery. 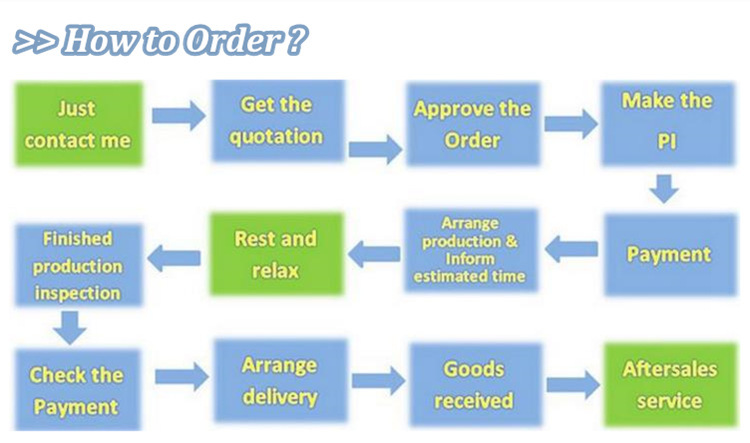 After shipment, we'll send all original documents to you by DHL, including Packing List, Commercial Invoice, B/L, and other certificates as required by clients.